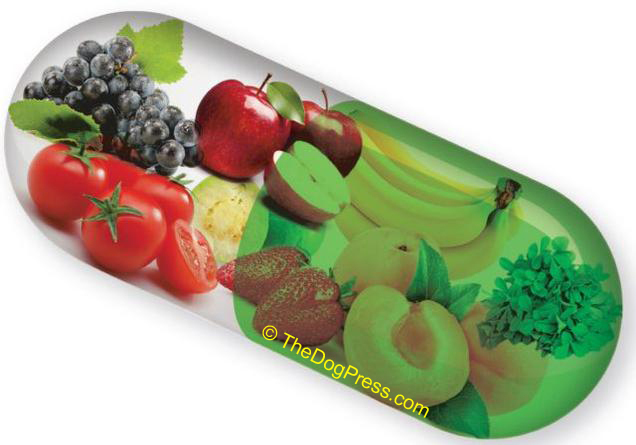 Are probiotics good for my dog? What is the risk of that "good bacteria" causing stomach upset, runny stools, or chronic diarrhea instead of aiding digestive health? Recalls and scandals in the pet food industry set consumers hot on the trail of natural, organic, and holistic pet foods but pet owners are coming face to face with labels listing bacteria, fungi, molds, and yeasts. Sellers spout terms like probiotics, prebiotics, and functional fibers, insisting that dog and cat colons can’t make it without them. Serious health and behavior changes begin to occur in their pets even as consumers feed the pricey new foods, marveling at the strange ingredients. It will take a series of articles to unravel these complex new pet food issues but let us begin with probiotics. Many trendy pet foods contain fermentation products, such as lactobacillus acidophilus, lactobacillus casei, bifid bacterium, enterococcus faecium, and other bacteria related substances. Because they are cultured from existing natural substances, in this case from so-called good bacteria, there are no FDA regulations for their use although there is rising concern. Some experts believe probiotics treat colon-related diseases but it is not the job of the food industry or the additive industry to diagnose or treat health problems. Conversely, the food additive industry has openly stated thatside effects include bloating, constipation, and gas, but diarrhea is often reported. The industry term is probiotics. These are actually live bacteria (miscroscopic germs) that have been cultured in a laboratory and turned into food additives designed to multiply in the stomach and colon. 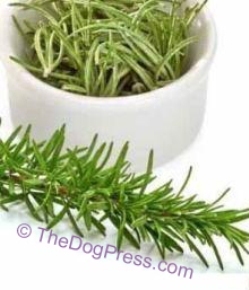 They are added to pet foods for the purpose of replacing flora in the colon which dogs and cats no longer obtain from natural sources. Fungi is closely related and includes molds and yeasts. These plant-like organisms will absorb nutrients wherever they attach themselves. Although they are untested for use in pet foods, industry is free to use any, or as many of these laboratory created additives as they choose. These additives were created to supplement the human diet which increasingly excludes fresh meats and vegetables in favor of pre-cooked packaged foods which are loaded with preservatives. Therefore it is likely that the effects of probiotics on a dog or cat could be much worse. The pet food industry is not required to explain the use of probiotic ingredients nor to put any warnings on their labels. Food sellers contend that pets will get used to it. Since rashes are common side effects for humans, it is likely that dogs and cats will be in for more itching and scratching. According to researchers in the United Kingdom, probiotics caused infections and bowel damage in 46 patients in separate studies. Probiotics can interact with immune suppressing drugs and become life threatening. In the human population, the possibility of developing sepsis from bacteria introduced as a food additive is real. When a person is septic, a severe infection can spread though the bloodstream, causing shock. Even years of successful use of probiotics does not eliminate the possibility of sepsis occurring. In 2008, the Dutch reported that clinical trials of probiotics at Utrecht University Medical Center in the Netherlands resulted in 24 human deaths. According to the University of California (Science Today), probiotics cannot be used in most food products because they will cause fermentation, but the bacteria can be processed with gamma radiation to reduce metabolic activity to almost none. They believe this would make it possible to add probiotics to any food. It is not likely that labels will say “includes irradiated ingredients”, nor will labels warn about side effects from ingesting bacteria. In 2008, five different lactobacillus species were cultured from human gastric biopsies by the Microbiology Department at University College Cork, Cork, Ireland, indicating an untapped source of bacteria. Cultures from soil or cows milk may not seem bizarre, but to culture bacteria from human sources, for the purpose of adding it to pet food or human food, smacks of “mad scientist”. Since bacteria such as those in probiotic additives, can multiply every twenty minutes when fed by fibers, there should be no shortages and no need to consider human gastric biopsies as an untapped source of bacteria. But we must remember that the pet food industry may buy additives from companies that import such ingredients. You will recall our coverage of melamine poisoning in which pet food companies purchased it from ChemNutra, a company that describes itself as China-source experts. So it is apparent that the people making your pet’s food have never been concerned about original sources or purity of additives used in their recipes. 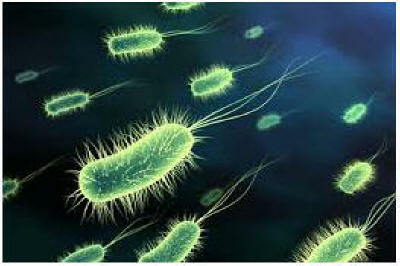 Some experts point out that this so-called good bacteria, which is believed to kill off bad bacteria, has done such a poor job in soil and milk that we must still worry about the presence of anthrax (in soil) and milk still requires pasteurization to kill harmful bacteria. Bacteria and Labeling is another problem. Manufacturers are allowed to add bacteria to foods that have been marketed for decades. Case in point, lactobacillus acidophilus is now in yogurt brands that long predate probiotic use. It is listed as an ingredient but with no warning that the new recipe contains live bacteria and no mention of possible side effects, the most prevalent among them are gastric problems, exactly what some consumers seek to cure with live bacteria. Pet foods also undergo recipe changes without notice but the practice is not illegal. Essential vitamins and minerals destroyed in processing are normally added back to pet foods but some natural pet food companies do not do so. Instead, they increase profit by including vitamins and minerals in probiotic and prebiotic supplements. Too much grain in pet food can limit absorption of vitamins and minerals. Too much fiber blocks absorption of nutrients as well. The chemical and food industries now refer to fibers as Prebiotics but this is just a fancy made-up name for non-digestible plant material carbohydrates. We will tell you all about it in our next article, FOOD FIBERS MAKE BACTERIA FLOURISH. Which can cause neurological problems, seizures and anemia. Use of prebiotics and probiotics are debated in the medical community. Food or medicing? The Probiotic Industry can’t have it both ways.